Chris Corning goes for a grab during the Slopestyle Qualifiers for the X-Games on Thursday, Jan. 25, in Aspen. First things first: Cannabis-infused topicals do not get you high. I repeat, they do not get you high — even when said creams, lotions and potions are formulated with THC. Most products on the market, though, are CBD-based, which when applied to the skin (and not absorbed into the bloodstream) provide a plethora of healing properties from reducing pain and improving circulation to providing hydration and fighting inflammation. Short for cannabidiol, CBD is the non-psychoactive cannabis compound extracted from the plant. It’s another term to know in the ever-expanding legal lexicon and might already just be the biggest buzzword of the year. The World Health Organization announced in late 2017 that after an initial review, it doesn’t warrant international scheduling. And now that the golden gates of California have opened to recreational cannabis, it’s only the beginning of a wellness revolution. 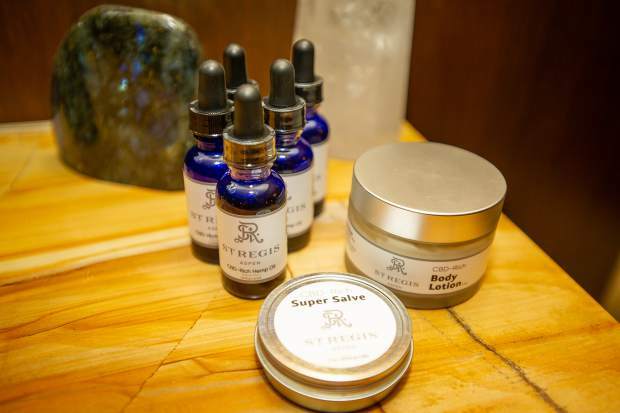 Xian says that there’s no noticeable difference in effectiveness when using its CBD-only formulas, offered in its portfolio to enable retailers and spas outside of dispensaries to carry (and ship) its body oils and creams. Sometimes, there’s nothing like a good escape — even while on vacation in Aspen. In the Roaring Fork Valley, the place to do just this is Redstone. And whether you spend an afternoon, full day or even overnight in this quaint mountain hamlet, you’ll quickly realize your trip past the roundabout and beyond Carbondale is well worth the trip. Nestled in the Crystal River Valley just before you reach the entrance to Redstone, a dip in the Avalanche Hot Springs will set your day off on the right, relaxing note (Redstone is not, after all, Aspen — no hustle and bustle allowed here). 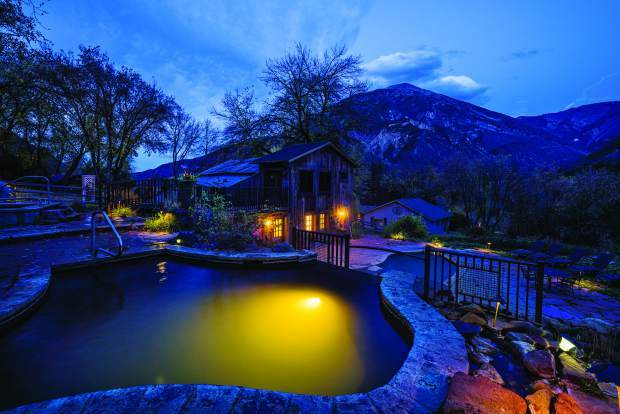 With three different pools designed around the natural landscape and rock formations of the surrounding valley, you’ll want to spend some time in each soaking up the views of Mount Sopris, Elephant Mountain and Avalanche Creek Valley. And don’t forget to set aside a few minutes to explore the Ranch itself; now a lodge with quaint cabins and “wagons” open for overnight accommodations, as well as the country-style gift shop, Avalanche Ranch could easily entice you for a much longer visit. http://www.avalanceranch.com. Anyone up for some Skimo? Yes, Skimo — short for ski mountaineering. Put more simply, it’s the act of skiing uphill. It requires alpine touring gear — free-heeled boots and sticky carpet called “skins” on the bottom of skis to prevent sliding down the hill. 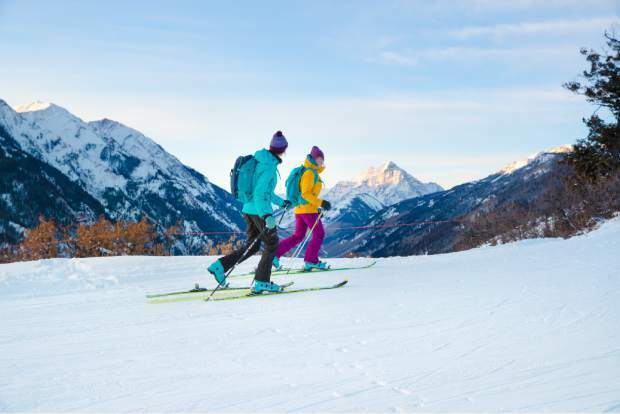 It’s an emerging trend in snow sports that the Aspen/Snowmass resort community is fully embracing. The Aspen Skiing Co. is one of a handful of ski operators in North America that allow uphillers to climb their mountains free of charge. 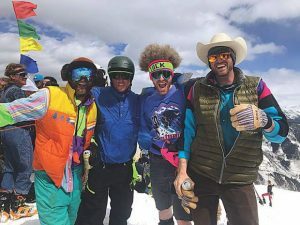 For example, the success of Skico opening the Cliffhouse restaurant on top of Buttermilk to nighttime uphillers is proof of how popular the activity has become. January 20, February 19 & March 20 | 5 to 8 p.m. Skin or hike up Tiehack on Buttermilk to dinner at Cliffhouse under the full moon. Get there early to enjoy free hot chocolate from 5 to 6 p.m. around the Cowboy Cauldron over a roaring fire. À la carte dinner options, snacks and a cash bar will be offered inside Cliffhouse. 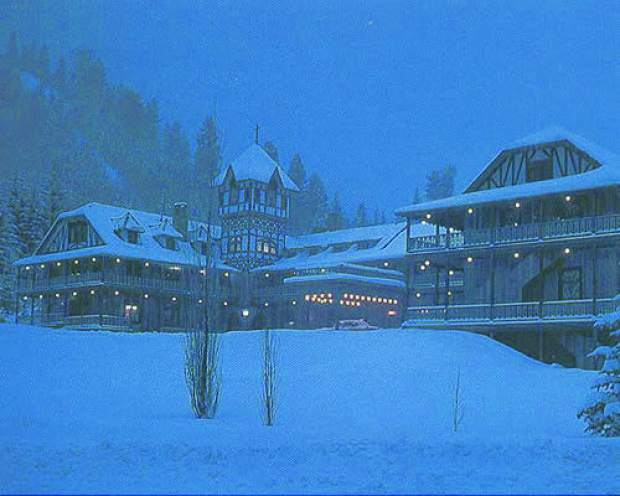 The Cliffhouse is open from 5 to 8 p.m.
New this year, the Cliffhouse restaurant, located at the top of Buttermilk Mountain, will play host to a Friday Morning Uphill Breakfast Club in which uphill skiers will be able to enjoy breakfast in the restaurant after hiking up the mountain. The Cliffhouse breakfast will be available for purchase from 8:45 a.m. to 10 a.m. with coffee, tea and hot chocolate, an oatmeal and yogurt station featuring dry quick oats in a mason jar ready to be prepared as well as a toppings bar filled with healthy add-ons. A hot breakfast will also be available with two menu options; a signature Cliffhouse breakfast fried rice with a farm egg or thick-cut French toast with crisp bacon. Both hot items are priced at $12 and the oatmeal bar will cost $8. 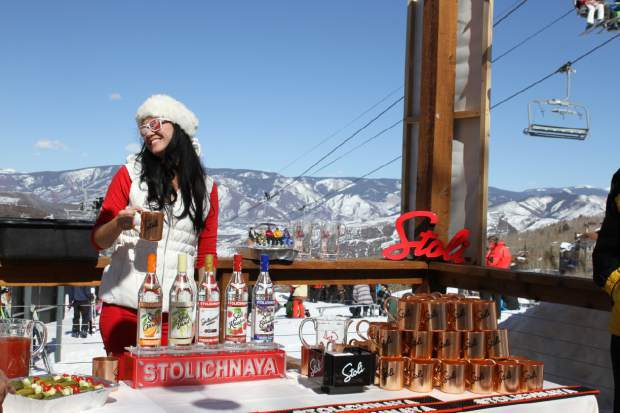 Mixers, pool parties, apres-ski events and ski-filled days are on the agenda once again for Aspen Gay Ski Week, America’s longest running event of its type. Limelight Hotel will serve as the event’s après headquarters hospitality suite where attendees can pick up party tickets and gather information about the week. The week’s Friendship dinners will be hosted at Hotel Jerome, Aspen Public House, Kenichi, L’Hostaria, Pinons and 7908 Supper Club. 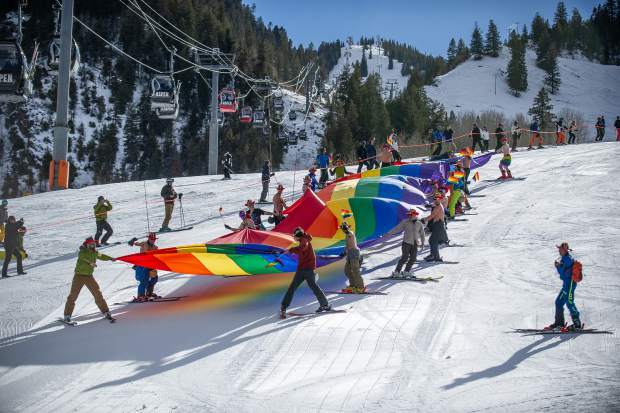 One of the highlights will be the Downhill Drag Competition and Party on Jan. 18 at the base of Aspen Mountain, hosted by Gay Ski Week legend Sister Helen Holy. Other festivities include a pool party at the Aspen Recreation Center that starts the night of Jan. 19 and doesn’t finish until 2:30 the next morning, as well as DJ parties and benefits. 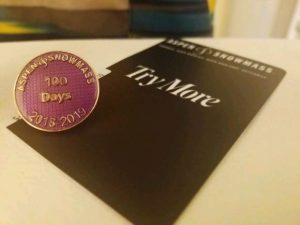 More details are at gayskiweek.com. Aspen and the Winter X Games have nearly become synonymous with each other, thanks to nearly two decades of the high-flying spectacle being held at Buttermilk. 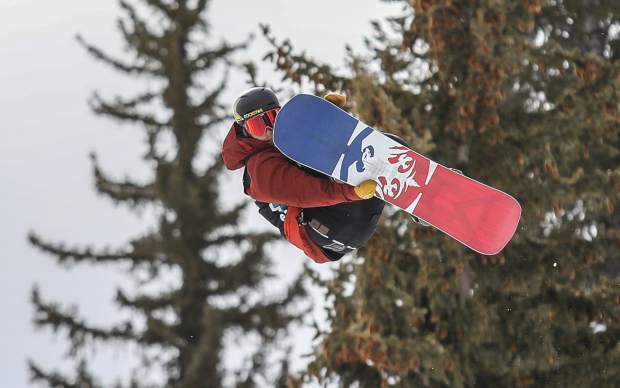 The event returns for its 18th straight year, during the last weekend of January, showcasing over 200 daredevil-athletes delivering their extreme goods on snowboards, skis and snowmobiles. The sporting events are free, but paid admission is required to attend the slate of slope-side concerts including Lil Wayne, Louis The Child, The Chainsmokers and Kygo. Those same artists also are slated to perform shows at the 450-person capacity Belly Up. 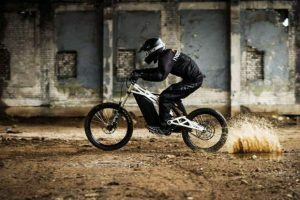 For more information, visit http://xgames.espn.com/xgames/aspen. 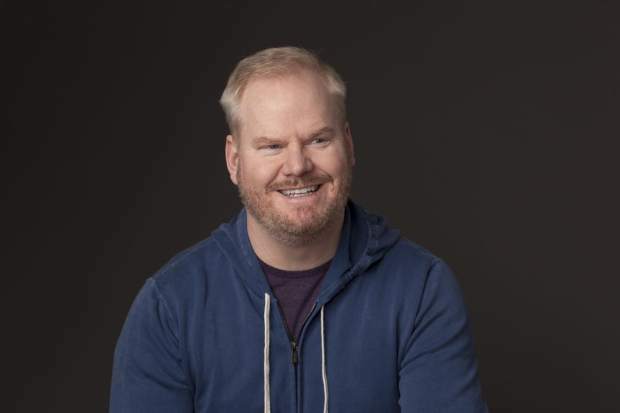 The laughs actually start crackling Feb. 15, when comedian Jim Gaffigan hits the stage of the historic Wheeler Opera House. It’s then a week off before the seven-comic lineup Aspen Laugh Fest returns to the Wheeler for four nights. Featured stand-ups include Nate Bargatze on Feb. 20, Kathleen Madigan on Feb. 21, an Evening of Comedy with Rachel Feinstein, Moshe Kasher and Julian McCullough on Feb. 22, Tig Notaro on Feb.22, and Jo Koy Feb. 23. Tickets, which can be bought for one night or the whole festival, are on sale at aspenshowtix.com. More details are available at http://www.wheeleroperahouse.com/laugh-fest/. This four-day event preaches to “sip responsibly,” and it’s no wonder. 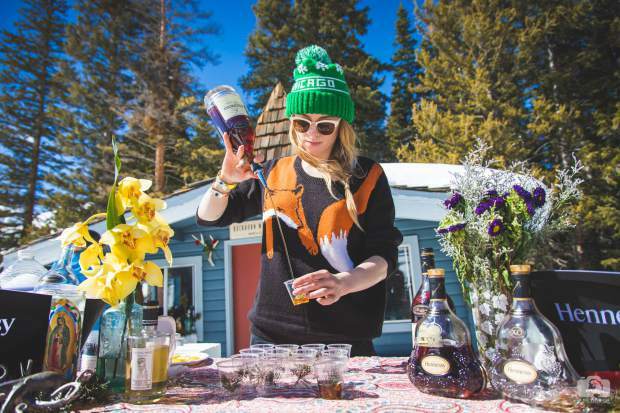 Events include pop-up bars, seminars with mixologists and brand ambassadors, fireside chats, tasting parties and the Great Apres Ski Pub Crawl and Cocktail Reception. More details are at apresskicocktailclassic.com. Base Village comes alive from 3 to 5 p.m. on Fat Tuesday, March 5, when national music acts hit the stage for a free concert open to all ages. Two of the three Bud Light Hi-Fi concerts will be in Snowmass this winter; the other one is set for March 23 in Aspen. 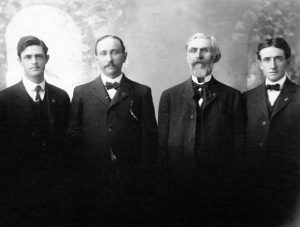 As of press time, the band lineups had yet to be announced for what traditionally has been a diverse cross-section of musical talent. Previous acts have included Karl Denson’s Tiny Universe, Cracker, Cold War Kids, New Orleans’ Rebirth Brass Band and Umphrey’s McGee, among others. 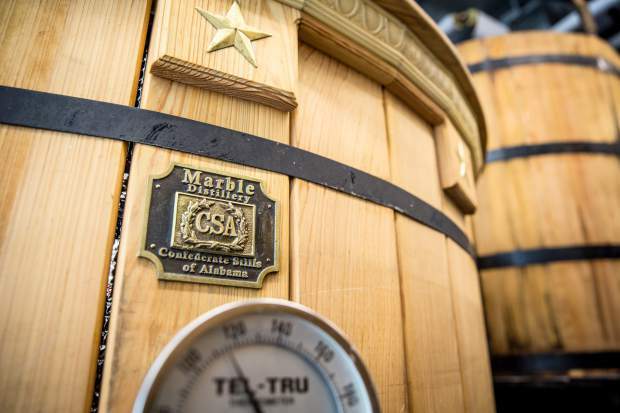 Snowmass Village is a mere 1,340 miles away from New Orleans as the alligator swims, but the cozy hamlet knows how to throw a good Mardi Gras party. 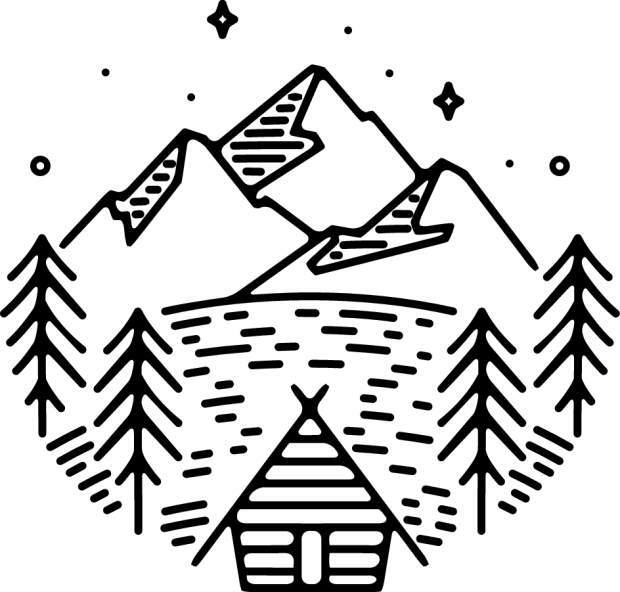 The good times start rolling first thing in the morning, if your idea of a good time is racing up Fanny Hill to Gwyn’s Alpine in the aptly titled Mother of All Ascensions footrace (snowshoes, hiking boots, tele-gear, track skis all allowed). It’s the post-race party at Gwyn’s that has kept uphillers coming back for years, with arguably the biggest raffle in the Roaring Fork Valley. 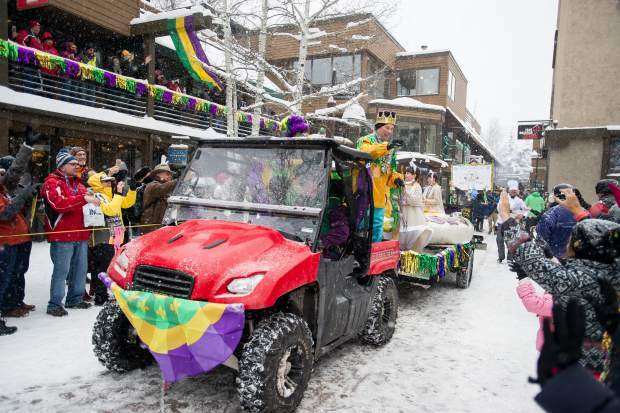 In keeping with Big Easy tradition, Snowmass Village pulls out all the stops with a traditional bead toss at 3 p.m. that day and a celebratory salute to the Mardi Gras king and queen. 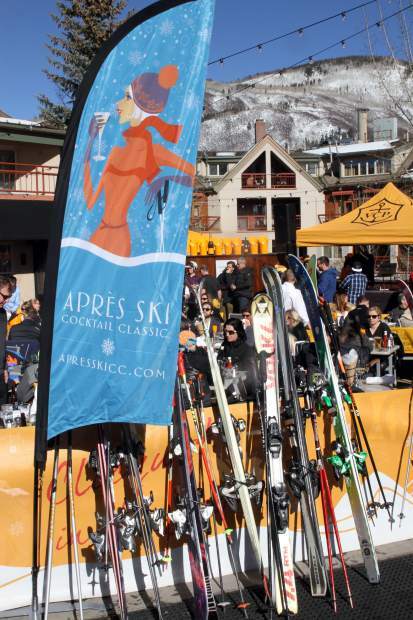 Bars and restaurants will be hopping with wall-to-wall crowds in both the Base Village and Snowmass Village Mall, while the day is capped off with a Bud Light Hi-Fi Concert in Base Village and fireworks finale. This exhibition of work by the Bauhaus master and Aspen icon Herbert Bayer launches a yearlong celebration of the Bauhaus Centennial here. Bayer, who moved here in 1946, helped build both the idea of modern Aspen and the physical structures that are now the aesthetic bedrock of Aspen. This show includes painting, printmaking, photos, posters and more. 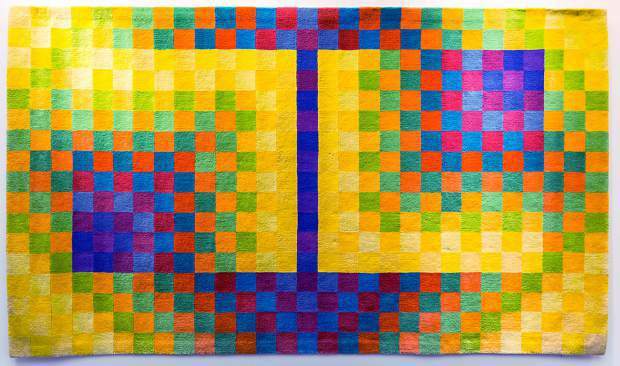 It will be supplemented by Bauhaus-themed tour of Aspen by the Historical Society. 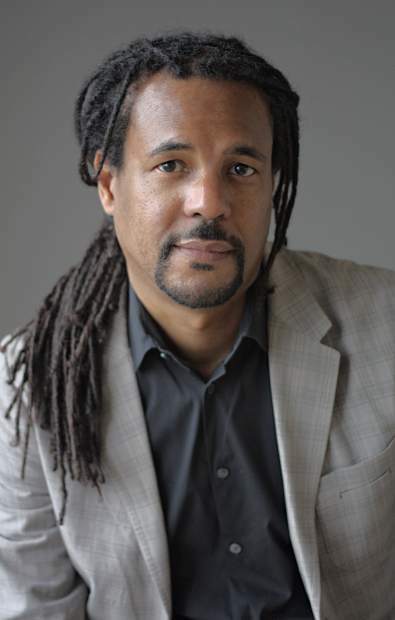 His 2016 novel “The Underground Railroad” won both the Pulitzer Prize and the National Book Award and solidified Whitehead’s place as a generational talent in literature, following other contemporary classics like “John Henry Days” and “Zone One.” He’ll discuss his work at Aspen Words annual Winter Words author series. One of the most popular (and most brilliant) stand-up comics in the world, Gaffigan earns laughs out of jokes about his five kids, his hefty stature and his just-another-Midwestern-guy observations of the absurdity in the ordinary. 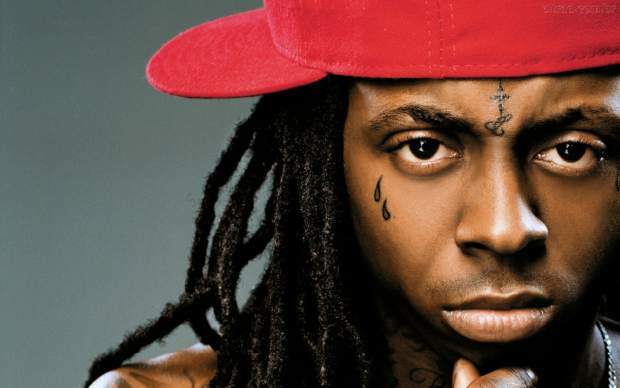 Hot off the release of his long-anticipated “Tha Carter V,” the New Orleans hip-hop legend is coming to the mountains for two of the biggest concerts of the year, headlining Friday night in the outdoor arena at X Games in front of 6,000 people and the next night playing for about 450 lucky fans at Belly Up downtown.